Dr. Dana Tannenbaum has a thriving Glaucoma practice at A Center for VisionCare. She is frequently called upon to present lectures on glaucoma to physicians as well as educational seminars to her patients & the public. She is also called upon to offer her expertise as an expert witness on Ophthalmology issues. 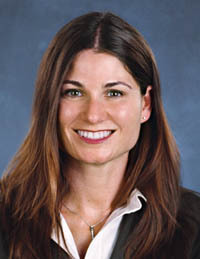 Dr. Tannenbaum completed medical school at McGill University in her hometown of Montreal, Canada. This was followed by ophthalmology residency training at the University of California, San Diego and glaucoma fellowship at the Jules Stein Eye Institute. She is a member of the American Academy of Ophthalmology, American Glaucoma Society and American Society of Cataract and Refractive Surgery. Dr. Tannenbaum is a leading researcher on the newest techniques for imaging the optic nerve for early diagnosis of glaucoma. She has published extensively and has won numerous awards for her work in this area. View Dr. Tannenbaum’s complete here Curriculum Vitae.